This Note has been prepared by the Coalition for a GM-Free India (http://indiagminfo.org) which is a broad platform of hundreds of organisations across India, striving to keep India GM-Free, and to put into place lasting solutions in our food and farming systems. The note has been prepared in response to a FAQs Note, an 8-pager, that Indian Government’s MoEFCC put out on GM mustard, as though that document should suffice as a defence for their unacceptable decision-making. It appeared on the MoEF website for a few hours on 12th May 2017 and was then pulled down. The document re-appeared with very minor changes on May 22nd 2017, the day that Dr Harsh Vardhan took charge as the new Minister for Environment, Forests and Climate Change. 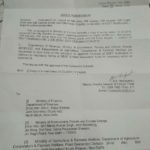 A quick glance at the document tells any informed person that MoEFCC is lying about certain aspects related to GM mustard – its characteristics, testing, appraisal and results, is hiding certain facts and importantly is also ridiculing and insulting the public intelligence by posing and answering certain questions that were never asked in the first instance. Most importantly, the MoEFCC has not to this day provided an answer to many frequently asked questions, which are being asked by networks like ours for 20 months now! * MoEFCC talks about studies being done as per prescribed guidelines. But ERA guidelines themselves were prepared for the first time in 2016! * MoEFCC talks about how GM technology for male sterility is better than (non-GM) CMS technology – however, there has been no testing or evidence to prove this claim. * MoEFCC lists out studies done on GM mustard and who did them – it hides the fact that many environmental safety studies were done by the crop developers themselves, with protocols prescribed by themselves for themselves, without blinding or proper statistical analyses; it also does not reveal that health safety studies were outsourced by NIN, though only NIN name is mentioned. It also does not mention that feeding studies were not done, which were done on Bt brinjal, the results of which showed that Bt brinjal was not safe as was claimed by the crop developers. * MoEFCC does not provide any data or justification for the claims made in the answers to the FAQs. In an unscientific manner, they expect citizens to just take the word of the Ministry, even without any basis or testing. They do not refer to the fact that GM mustard will be used as a herbicide tolerant crop by farmers, and no test protocols have been evolved in India for HT crops nor applied in the case of this GM mustard. * MoEFCC over-relies on so-called history of safe use elsewhere, without referring to the fact that where cultivation was allowed, serious environmental and environmental health problems did emerge. Is lack of evidence on certain fronts supposed to be treated as confirmation of safety? What evidence does the government have of the health and environmental problems witnessed in GM cultivating or consuming countries not being related to that cultivation and consumption? * While they gloss over Questions of a serious nature, pertaining to safety, they also raise supercilious and facetious questions and give answers that insulting citizens’ knowledge. * We present here our valid question on whether India has a choice here for improving our oilseeds production, and answer in the affirmative. We use the opportunity to raise once again valid, scientific questions that need to be answered by MoEFCC. We challenge them to do so, along with evidence. What is this technology about? seed production with high purity. CMS systems are either unstable or their restoration to fertility is inadequate. Barnase and barstar as explained below. 1. There has been no evidence generated by GEAC or the crop developer to justify what is being said about CMS technology. If the testing has not verified GM based male sterility with CMS, how can conclusions of any kind be made on INDEQUACY, INSTABILITY, RESTORATION OF FERTILITY, VERSATILITY ETC.? Why did the crop developers not test themselves against CMS hybrids despite laid down protocols from GEAC and ICAR?? 2. Contrary to the claim here, CMS does work well, as per several senior mustard breeders in India. 3. Several CMS-based hybrids have been released from public and private sector entities. Many yield better than DMH-11. 4. The highest rapeseed yield is in those countries which have opted for CMS hybrids and not GM based hybrids. 5. All types of male sterility are subject to breakage. The Central Compliance Committee ( which reviews the field trial) field visits noted this problem. In fact, trial protocol and data recording during trials should have been standardized on this aspect and reported back, which was not the case except in Ludhiana trial. 6. In fact, the crop developer and later the GEAC Sub-Committee falsified their findings when they concluded that no male sterility breakdown was observed. 7. Mustard breeders in India have shared with members of the Coalition that the reason why Dr Pental and his team do not want to use the existing CMS options is that he wants to work with his own exclusive lines, reducing choices for this team. However, this constraint does not exist for other breeders. 8. All this discussion on barnase and barstar conveniently keeps silent about BAR gene, which is herbicide tolerant. We discuss this serious concern later in this note. GEAC is continuing its oversmart game of hiding important information in this FAQs also by not bringing this up here. increased use of chemicals in agriculture. If these are the issues of concern for the environment, can MOEFCC tell the nation if persistence of the gene after the GMO has been harvested been assessed? What and where are the results? Has susceptibility of honeybees and other pollinators been assessed of GM mustard as a HT crop? Has the stability of the trait been assessed and what are the results for male sterility breakdown as per a standardized protocol? Have increased use of chemicals been assessed for this HT crop, how was the assessment done, what and where are the results? It is worth noting that Environment Risk Assessment Guidelines in Indian regulatory system were prepared and released only in 2016. The question that then arises is how testing of GM Mustard happened, and was allowed all along without these guidelines in place. What safety studies were done for ensuring that GM Mustard is safe and were they done according to relevant guidelines? The following safety studies were done for GM Mustard and they were as per prescribed guidelines developed by Government of India from time to time. 1. As pointed out above, regulatory guidelines were prepared only in 2016, so what PRESCRIBED guidelines are being referred to? 2. Comparatively less tests have been carried out compared to even Bt. 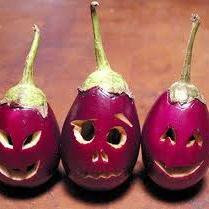 Brinjal which was placed on an indefinite moratorium for want of more tests and proof of safety. 3. The study protocols were designed by crop developers, rubber stamped by regulators. What is the expertise that CGMCP has in evolving protocols or conducting studies like pollen flow? The studies were conducted by the crop developers themselves, without any blinding, without proper statistical analysis, related to agronomic performance, impact on bees, on pollen flow, on outcrossing with other related species etc. etc. 4. Studies that are being shown to have been conducted by National Institute of Nutrition have been outsourced to a private entity. 5. Protocols to test a herbicide tolerant crop do not exist in India, have not been developed by the regulators even though they are appraising numerous HT crops in the pipeline. NO TEST HAS BEEN CONDUCTED ON GM MUSTARD THE WAY A HERBICIDE TOLERANT CROP SHOULD HAVE BEEN TESTED. ON JUST THIS COUNT, ALL THE MEAGRE SO-CALLED TESTS DONE SHOULD STAND NULL AND VOID. 6. The Biology of GM Mustard (basic document supposed to be in place with the regulator before any GM research begins), was prepared only in 2016. So how can it be said that safety studies were done as prescribed by the Govt. 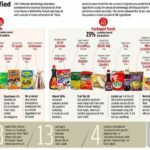 higher nutrient content (e.g. soybeans increased oleic acid) have been also studied recently. 1. More than 95% of the GM food available in the market is engineered to express BT, HT or both traits. This means they release toxins into the environment or absorb more toxins onto themselves, passed on as residues to consumers too. Around 87.5% of GM crops grown worldwide are actually herbicide tolerant, which mean greater use of chemicals on crops. 2. In fact, to accommodate HT crops, MRLs have been revised upwards of chemicals like Glyphosate by up to 400%! Glyphosate has now been classified as a Probable Human Carcinogen by WHO. 3. To this day, 91% of global GM area is within 5 countries. Majority of countries do not opt for cultivation of GM crops and this is cleverly not being put out by the MoEFCC in its FAQs, talking only about “kind of GM foods that are on the market internationally”. So a technology which has been touted as a panacea to reduce chemical usage has become the vehicle for increased chemical usage jeopardizing environmental, human and animal health. Will the transgene get transferred to humans or animals when GM Food is consumed? The transgenes would not get transferred to humans or animals through consumption of GE mustard. So far, there is no evidence suggesting that the transgenes could be transferred to humans or animals through consumption of GE food. There is indeed evidence that transgenes do get transferred to gut bacteria or other bacteria. Will the introduced proteins in GE mustard have toxicity? Can the seeds of this GE mustard be directly consumed? Will it be safe to consume leaves of this GE mustard? toxicity. 1. This statement of the GEAC can’t be verified as the dossier was not uploaded or made freely available for scrutiny and evaluation by independent scientists despite Supreme Court Orders and Orders of the Central Information Commission. The dossiers were made available in Delhi, for 30 days, for viewing (no copies allowed, no soft copies made available, how can scientists evaluate a 4000 page scientific document by spending just a few hours poring over it? ), which is unacceptable for any scientist to make a thorough evaluation of the contents. Therefore there is every reason to believe that the regulator is trying to hide the inadequacy and gaps in tests and results. 2. Many tests that ought to have been done were not taken up for GM mustard in the name of changed guidelines. 3. There was no health expert in GEAC subcommittee which evaluated the dossier as also no genetic toxicologists in the panel. 4. No chronic toxicity testing has been done. Several feeding studies done for other crops’ assessment weren’t done with GM mustard. 5. Analysis that could be done with little information available shows that toxicity cannot be ruled out. There have indeed been significant changes discovered between study and control group animals, but have been disregarded. Will medicinal products containing mustard oil or leaf from this GE mustard hybrid be safe? Medicinal products containing mustard oil or leaf from this hybrid have been assessed to be as safe as other conventional mustard varieties. 1. This is an outright lie. No medicinal products using GM mustard have been assessed for their safety. If they were, why were they not listed in the table of studies done, and why were the reports not put out? 2. No scientists from Ayurveda or ISM disciplines are members of GEAC or Sub-committee. 3. Mustard has a big use in Ayurveda! Various uses are documented in Caraka Saṃhitā, Suśruta Saṃhitā, Bhela Saṃhitā and Kāśyapa Saṃhitā. me a monster? The introduced Barnase and Barstar proteins of the GE mustard are expressed in specific tissue (anther) and are not found in other parts of the plant. Bar protein expressed in leaves but is rapidly degraded during cooking. Also, the expressed proteins show rapid digestion in the human gut in the in-vitro tests. Moreover there has been more than a decade of history of safe use of these three proteins hence it can be concluded that these proteins would not alter anyone’s genome after consumption of this GE mustard. 1. Trivializing the question of the impact of GE mustard on the human or mammalian system with facetious questions is to divert attention from real issues. This is an insult to the intelligence of ordinary citizens. 2. Crop developers, GEAC and MOEFCC should produce evidence to support their statement that there has been more than a decade of history of safe use of these 3 proteins – which evidence that they hold shows that these proteins have not caused any illnesses after consumption? 3. Human body is full of microorganisms. Most of them are beneficial. Recent study has establishes relation between gut bacteria and functioning of the brain. It may not alter human genome but it could definitely alter microorganisms associated with human health. This has not been tested in the case of GM mustard and therefore, no conclusion of safety can be drawn. 4. Sub-Chronic Toxicity Studies reveal statistically significant differences in biochemistry parameters, histo-pathological differences and body weight gains. However, these are being brushed aside as irrelevant. 5. Chronic impact studies have not been taken up. 6. Bar protein might degrade during cooking, but leaves and seed cake are fed without cooking to animals. Will this GE mustard taste different? The compositional analysis of this GE mustard shows that all the biochemical /nutritional components of GE mustard are similar to that of conventionally grown mustard varieties (Varuna and RL1359). Therefore, GE mustard is not expected to have a change in the taste. 1. Compositional analysis shows some significant differences in fact. However, these have been brushed aside in safety conclusions. 2. There is no taste test carried out. 3. “Expected to” is not scientific spirit and is not a definitive and conclusive answer, it is only speculation. conventionally grown varieties in India. Compositional analysis has in fact shown statistically significant differences. Will cattle produce more milk if this GE mustard is used as feed? Will milk produced by cattle having this GE mustard in diet be different in colour and other nutritional value? This GE mustard is as nutritious as the conventionally grown varieties in India. Therefore, it is not anticipated to have any effect on milk production, if cattle consume this GE mustard as feed. In compositional analysis, this GE mustard is found to be substantially equivalent to commercially cultivated mustard varieties (Varuna and RL1359). Hence, this GE mustard will have same nutritional value. Therefore, milk produced by cows after the consumption of this GE mustard, if any, will not changes in terms of colour and nutritional value. The conclusion that GE mustard is as nutritious as conventionally grown varieties is not borne out by results of compositional analysis. Therefore, the other conclusion is invalid too, about cattle feed and milk. Some of these questions are being raised and answered merely to distract the public from raising real issues and obfuscate other pertinent matters (like the one related to color etc. – we challenge GEAC to show who has raised this question at all with them). Will mixing of this GE mustard oil with other oil result in dietary toxicity? Oil from this GE Mustard contained no new proteins. Therefore, this GE mustard oil is as safe as the conventional mustard oil from the non-transgenic mustard variety. It is well known that oil does not contain proteins. Why ask this question and answer it this way, if not to divert from real questions around toxicity of GM mustard which are left unanswered? Will oil derived from GE mustard be safe for dermal and cosmetic use? Composition of oil from this GE mustard is similar to oil derived from conventional mustard variety and therefore, the oil derived from this GE mustard is as safe as the oil from conventional varieties. Hence, people allergic to traditional mustard oil should exercise similar caution to this GE mustard. DMH-11 and its parents are Herbicide Tolerant crops. Testing is incomplete, and conclusions undependable without using herbicide on the crop, which farmers are going to, if the crop is approved. Will animals grazing on this GE mustard be safe? The three introduced proteins (Barnase, Barstar and Bar) are expressed in very less amount in the plant and are found to be non-toxic in the acute as well as sub-chronic toxicity studies in rats and mice. Based on the Global reports of history of safe use and other reported scientific literature, it is assessed to be safe for animal grazing on it. 1. No such grazing test carried out. Response is based on assumptions. 2. Feeding studies have not been done. 3. The sub-chronic toxicity tests do raise safety questions which have been brushed aside in safety conclusions. 4. There are no global reports of history of safe use. 5. There are scientific studies that point to problems with animals feeding on GM feed. Will the GE mustard cake be safe for animal feed? All the three introduced proteins as well as studies using edible plant parts did not show any adverse effects. Moreover, seed and meal from transgenic canola having same barnase-barstar system is being fed to animals in various countries and no adverse effects have been reported so far. Thus, this GE mustard cake is assessed as safe for feeding animals. 1. Response is based on assumptions. Before concluding that there are no adverse effects, evidence has to be presented scientifically to support the statement. Does GEAC or MoEFCC or crop developer have any? Is lack of evidence to be taken as proof of safety? Will it alter beneficial gut microbial flora in human and animal? The assessment for the effect of this GE mustard on microbial population has revealed no adverse effect on soil microorganisms. Also, the three introduced proteins have been found to be easily digested by the simulated gastric fluid. Therefore, based on the history of safe use of these proteins in other countries, it can be concluded that this GE mustard would not alter gut microbial flora in human and animals. 1. Not a single test has been carried out to see the impact of GM Mustard on gut bacteria. To invoke a soil micro-organism study to discuss gut microbial flora is laughable. 2. What exactly is “history of safe use of these proteins in other countries”? Is lack of evidence a proof of safety? Is there actually proof that the various health problems witnessed in countries that have opted for GMOs are not related to GM food consumption and cultivation? 3. Is the Canadian consumption of canola oil the same as the Indian consumption of sarson da saag? 4. If regulators want to rely on canola results elsewhere in the world, why do we need regulation and testing in India? Will expressed protein leach to water table making it toxic for consumption? these proteins are not stable for a long period and gets degraded after release in the soil. 1. There is no testing done to check for leaching of the herbicide (glufosinate) which will be used by farmers along with HT GM mustard. So, why ask a partial convenient question and answer it conveniently? Will GE mustard affect quality of nectar? The introduced proteins are independent of the nectar production traits and therefore are not expected to influence nectar quality and quantity. 1. Nectar quantity and quality has not been assessed. Therefore, no conclusion can be drawn on this. 2. Nectar quality will not only get affected by the transgene proteins but also herbicide used on HT GM crop. 2. Importantly, impact of Glufosinate on honeybee was not assessed even though this is a herbicide tolerant crop. 3. No pollination deficit study was conducted on GM Mustard apart from merely reporting that there was no change in bee visit. It is essential to conduct pollination deficit study comparing organic, conventional, GM hybrid and even available non GM hybrid mustard varieties across seasons, years and locations. Will GE mustard require any insecticidal sprays? GE mustard requires no additional care for growth and cultivation as compared to any other conventional mustard. 1. A complete lie, by conveniently using the word “insecticide” instead of a broader term of pesticide/herbicide. Yes. It DOES require herbicide spray to prepare the female parent at seed production stage. It can also be anticipated that farmers will certainly use the crop as a herbicide tolerant crop. 2. The CGMCP is keenly interested in evolving HT crops, whatever might be their statements about the HT status of this crop – their projects reveal this clearly. Whether farmers are required to use herbicides for cultivation of GE hybrid Mustard? No herbicide is required or recommended for cultivation of GE hybrid Mustard. 1. If farmers are seed producers, they will definitely need to use the herbicide spray of glufosinate. Most seed companies in any case use farmers to produce hybrid seeds! 2. DMH-11 F1 and its parental lines are 100% HT crops. This HT crop is engineered to be tolerant to glufosinate, a patented herbicide of Bayer Company (which has taken over Monsanto recently). This herbicide is not even registered for use in mustard under the pesticides regulatory regime in India. 3. HT trait will also be there in farm-saved seed and seeds produced in contaminated neighboring fields. 4. In India pesticide/herbicide use is not controlled nor need based. Giving HT crop in the hands of Indian farmers is very risky. Saying “herbicide usage is not recommended for realizing yield potential” does not mean anything in reality, as Indian regulators have no control over what farmers do at their level. 5. The TEC has examined the issues in relation to HT, particularly with regard to sustainability and the likely socioeconomic impact on major sections of rural society. On both these counts, based on the reasons presented in the section on Herbicide Tolerance, the conclusion of the TEC is that HT crops would most likely exert a highly adverse impact on sustainable agriculture, rural livelihoods, and environment. The TEC finds them completely unsuitable in the Indian context and recommends that field trials and release of HT crops not be allowed in India. Will this GE mustard hybrid produce sterile seed? The hybrid GE mustard with Barnase-Barstar technology will lead to production of fully fertile seeds in the farmer’s field. 1. It is not true that fully fertile seeds will be produced in farmers’ fields from GE mustard hybrid cultivation. Upto 18.76% male sterile seed in F2 generation from hybrid GE mustard is possible. 2. Further, in case of normal outcrossing of GE mustard with neighboring non-GM mustard fields, the F1 progeny of the contaminated crop could contain 25% male sterility. 3. Addition of DMH-11 pollen in subsequent generations (one farmer continuously being non-GM with farm-saved seed in each generation, while others shift to GM mustard hybrid) will increase the male sterility percentage. 4. If Varuna –Bn (one of the parent plants) outcrosses with non-GM mustard it will produce 50% male sterile off spring. 5. Neighboring non-GM farmers will not be able to save seed – upto 25% of their crop will be male sterile when out-crossing occurs; further damage could be caused due to accidental glufosinate sprays. 6. In effect, this forces farmers to not save their own seed and shift to GM mustard hybrid. Does this GE mustard hybrid have the terminator technology? This GE mustard hybrid is developed using Barnase-Barstar technology and does not have the terminator technology. 1. It has Genetic Use Restriction Technology (GURT). The bar-barnase-barstar technology is GURT. 2. The Protection of Plant Varieties and Farmers’ Rights Act (PPVFRA) of 2001, under Section 29 (3) classifies GURT and Terminator as a technology that is injurious to the life or health of human beings, animals or plants and lays down that no variety of any genus or species which involves GURT will be registered. GM foods and their safety should be assessed on a case-by-case basis and that it is not possible to make general statements on the safety of all GM foods. GM foods currently available on the international market have passed safety assessments and are not likely to present risks for human health. In addition, no effects on human health have been shown as a result of the consumption of such foods by the general population in the countries where they have been approved. 1. There is indeed scientific evidence to show that GMOs, especially in the form of HT crops with a combination of GM seeds and toxic chemicals, cause adverse health impacts. 2. If GEAC and India are indeed following a case by case approach for assessment of GMOs, they should not have allowed this GM mustard to be developed with taxpayers’ funds, and come this far at all. It is an unneeded GMO, which is a dangerous herbicide tolerant GMO. 3. There is no evidence to conclude that currently available GM foods are not causing any health problems to the populations consuming them. How do we know that the incidence and increase of certain kinds of illnesses in countries like the USA are not related to GM foods consumption? There hasn’t been labeling or segregation in the US for GM food to identify the problems that have occurred and to be able to correlate it to GM food. The absence of collection of data cannot be taken as proof of absence of harm. 4. There is certainly evidence to show that HT GM crops are resulting in large environmental health crisis in their cultivation in South American countries. Has any need analysis carried out? Has any benefit assessment been done on the claims made with regard to benefits? NO need analysis has been carried out. The promoter first claimed that yield increases will happen because of which imports will decline. However when questioned on scientific grounds, the crop developer and regulators are now backing out on this claim and saying that this is for versatility in breeding!! However, even for this, no scientific evidence is available. Like we said, most countries around the world grow rapeseed in its CMS hybrid version and often have higher yields than the 3 countries which opted for GM hyrbids of rapeseed/canola. How many trials conducted as per the prescribed check? Not a single one conducted as per protocol. Did the 25-member GEAC leave the appraisal to a 7-member body which included people with conflict of interest and where the so-called health expert did not participate? Yes, that is true. The appraisal was left to a sub-committee with objectionable conflict of interest and without an (independent) health expert participating! Have pollen flow studies been done rigorously? No, only one season, one location. Two GMOs which are parental lines which have been given a clearance by the regulators did not undergo any pollen flow testing. Has the Government said in the Supreme court that “No claim has been made that GM mustard out performs non- Gm hybrids?” Yes, government now says that no yield claims have been made. Then the question arises why this GM mustard is being foisted on us. Is there a history that release of high yielding varieties/ hybrids has increased mustard production in India? No, in fact it is evident from the history that only pricing and import policy favouring farmers can increase the production of mustard. Also, less than a third of imported palmolein oil is going into home kitchens. For our edible oil requirements in the home kitchens, domestic production is the mainstay. It is the food industry which is dependent on the imported edible oil. In the end, it is the industry needs (seed, food etc.) which are pushing the policy decisions, not the welfare of ordinary citizens. Can present hybrids yield better than GM mustard? YES, they can. Even existing varieties, especially through agro-ecological practices like SMI can perform significantly higher in terms of yields. What are the unfavourable characters of GM mustard? High shattering, small seed size – they are not preferred by the farmers. That is why the hybrids released by CGMCP till date have not been adopted by farmers. Does GEAC know or care about the fact that SMI in mustard out performs GM mustard? No, it does not. Even though its mandate is to protect Nature and health from the risks of modern biotechnology. Who is responsible to verify the socio-economic impact (sovereignty, livelihood opportunities, trade security, cost of production etc.) with regard to GM mustard? Nobody is responsible right now! Does GEAC have any expertise to check the claims related to socio-economic benefits? Does it own this responsibility? No. Is there a threat of contamination and competitive advantage? Yes, there is. However, testing has not been done to assess this properly. While Bt brinjal and Bt cotton went through multiple seasons of such pollen flow studies, GM mustard was put through only one season pollen flow/crossability studies, that too in one location, that too without the use of herbicides on a HT crop. Why has the regulator refused to put the full biosafety dossier in the public domain for independent review? Previously Bt brinjal dossier was out in full in the public domain after an interim order from the Supreme Court, It can only be concluded that GEAC is afraid of the shoddy assessment done with GM mustard. Will this GM Mustard and products containing this be labeled as per the labeling law? As per the labeling law in India, any packaged food that contains GMOs or GM ingredients should be labeled. However it is not being implemented. Further, most food is consumed in an unpackaged manner in India. So labeling will not effectively protect consumer rights. How will I be able to keep this GM Mustard out of my diet if I do not want to eat GMOs or products with GMOs Since the labeling law for GM foods is not being implemented by the Consumer Affairs Department, since the FSSAI is abdicating its responsibility on this front and since labeling in any case is not an effective means of protecting consumer choice in a country like India, there is no way you can know if your food contains imported GMOs or GM Mustard in any form. The only way to stay GM Free would be to eat completely organic food. However, even organic cultivation will be jeopardized by GM mustard. Will this be used in baby food and other baby products, or in Ayurvedic products? Yes, it could be used in any products in the market. And there is no way you can distinguish between GM and non-GM or be sure of its safety. As an organic farmer, how will I prevent contamination of my fields if my neighbor cultivates GM Mustard? There is no way to prevent contamination as pollen out flow is for much longer distances than estimated in the AFES documents and no protections are in place or can be placed in the Indian farming context with small closely located farms. As an organic farmer will I be compensated if my fields, seeds, crops get contaminated by this GM Mustard ? This issue is not addressed at all and there is no liability regime in place in India for addressing damage, health or economic due to Gm contamination and other related problems. Has this GM mustard gone through the testing that was done on Bt brinjal, because of which it was put under a moratorium? No, it has not. Several studies done on Bt brinjal were not taken up for GM mustard and even the ones done (like pollen flow study) are for a much shorter time, in just one location. Has this GM mustard been tested as a HT crop? No, it has not been. Not a single test has been done with the GM mustard in question sprayed with glufosinate. What is the purpose of introducing bar gene with herbicide tolerance, that too with double enhancer promoter? To lend herbicide tolerance trait to the crop, and to provide larger markets to agri-business corporations for their toxic products. Is it true that all the international references made by the crop developer about bar-barnase-barstar technology have it as a HT technology in their respective dossiers, whereas DMH-11 and its parents are being presented to be different in India? Yes, that is the case. Have the regulators responded to the many scientific questions raised by citizen representatives, including scientists? Did they pick up the open challenge thrown by them for a public debate on GM mustard? No, they have not. Has the GEAC been reconstituted as per the SC TEC recommendations, and were tests conducted accordingly? Or as recommended by the Supreme Court appointee in GEAC? No. Have aspects related impact on honey industry, organic farming and trade, on rural employment, on consumer choices, on Ayurveda and other Indian Systems of Medicine been studied? No, not a single one. Does India have a liability regime for damages and risks from transgenics? No. While India has been a signatory to transboundary movement of GMOs at the international level, what regime does it have within the country when state governments are saying No to GM? None. Do the regulators have a reasonable explanation for how male sterile lines have produced so much yields and if that is a good indication of how much outcrossing to expect? No reasonable explanation has been provided. Is it true that the regulatory clearance is for THREE GMOs? Have they undergone various tests required? Yes, the regulatory clearance is for 3 GMOs! And while tests have been inadequately and inappropriately done, in the case of parental GMOs, even those tests that were undertaken for DMH-11 hybrid were not fully undertaken. Does further research for breeding better mustard hybrids through BBB require commercialization permission of the current hybrid or parents? Not at all. The only permission that should have been applied for, as per regulatory guidelines, is for further research. Is there a great demand for mustard oil in India from consumers? Not at all. In fact, mustard oil share in overall edible oil consumption has shrunk to only around 10%. Does India have other options for improving its oilseeds? Yes, numerous. CMS hybrids are one answer. Through agro-ecological practices like SMI. Through relay cultivation of mustard on rice fallows and other fallows. Through better and innovative extension models which bridge existing technology gaps. Through incentivizing oilseed cultivation itself. Through better procurement and pricing policies. Through farmer-friendly IMP-EX policies. Through focusing on protective irrigation for high potential crops like groundnut. It is clear that the crop developers, regulators and the government do not want to take up scientific risk assessment since the inherent unsafe nature of the S&T of transgenics will show up in such testing. Therefore, testing is bypassed and results of meager testing done are hidden. Is this GE mustard a high protein diet because of introduced protein? The introduced proteins are expressed in low to negligible level in the edible parts (leaf and seed) of this GE mustard. Hence, this GE mustard is as nutritious as other conventional varieties. It is a facetious question asked, insulting to those engaging with the issue of GM mustard knowledgeably. Those who know their science do not raise such silly questions. conducted with edible plant parts (leaf and seed) no toxic effects were observed on reproductive organs of rats. It is a facetious question asked, insulting to those engaging with the issue of GM mustard knowledgeably. Those who know their science do not raise such silly questions. Will there be any colour change in the GE mustard so that it can be identified separately? The introduced proteins in this GE mustard has no role in colour determination, hence would be similar to conventionally grown mustard. The fact that GM mustard and other GM crops and their fruit look exactly like non GM crops increases the risk for the consumer. With the labeling laws for GM crops being completely ignored by the FSSAI there is no way for the consumer to avoid consuming these identical looking but genetically modified crops. This will lead to contamination at various levels in food supply and seed supply and farmers and consumers will have no choice. Can I grow GE mustard domestically?